But they repented after they realized they had sinned. After being told of the disobedience to God, they repented. Let me tell you something my friend. God is capable of forgiving you all your iniquities- believe me, but you first admit that you sinned; confess your sins God will forgive you. Be if fornication, adultery, lies, whatever! 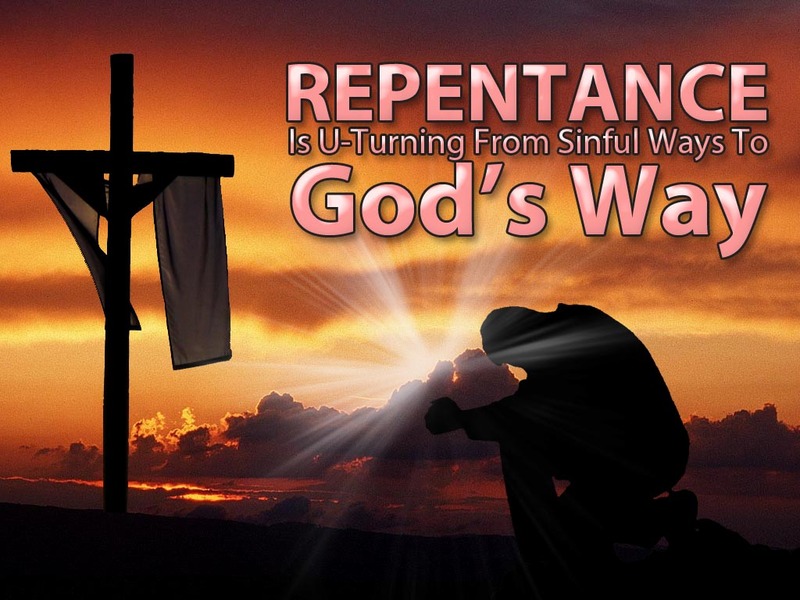 But you must be truly repentant. Not just saying it with mouth, but believing sincerely in your heart that you sinned and truthfully seek for forgiveness. People may not know what is on your mind, but God sees your heart, he sees it because he is present everywhere. He can see the tiniest veins in your body. So when you keep escaping death and you continue to, and you keep thinking it’s because you are smart, you think it’s your wisdom, let me tell you, it is by the grace of God that you have been kept alive! Those sins have captured you and put you into stagnation, either in an aspect of your life, or in the whole areas of your life. It can affect your finance, marriage, productivity, fertility, joy, and so on…, it is those sins; your disobedience to God Almighty, they are the cause if your calamities! God is telling you to stop fornicating, stop adultery, you have refused to stop, you are catching fun, and sometimes you travel out of town to see another woman who is not your wife, risking accidents. Come to think of it, what if something terrible happens to either of the party during this unholy union? What if you get caught, what if you catch a deadly disease in the process, what if your lose your focus on life in the process? But the short moment of enjoyment is preferable! Well, the good news is that the children of Israel repented, the prophet said in verse 10 of Ezra 9, “And now, o our God, what can we say after all of this? For once again we have abandoned your commands! Your servants the prophets warned us when they said; the land you are entering to possess is totally defiled by detestable practices; corruption and so forth! Don’t fornicate, don’t commit adultery, don’t kill, don’t steal, don’t cheat, stop yahoo-yahoo, stop fraud, stop kidnapping, and stop money rituals. But because you we have continued to sin and displease God, stealing, cheating, killing and causing mayhem here and there, all the time…. Hear this, please listen attentively! Ezra 9: 13, “Now we are being punished because of our wickedness and our great guilt. But with all our sins we don’t receive so much punishment because God allows us to survive as remnants. And God forgave them. So you need to be truly repentant. Ask God to forgive you, mean it and deliberately make a change for the better.